With modern technology in hand, someone you love is never more than a push of a button away, and in fact, all you have to do to hear your mom or your girlfriend is to call them on the phone. While the majority of us rely vastly on sensory input for comfort, contact and visual vocal images also play a huge part in our mood, which is something that the Wearable Absence project is working on. Their project is trying to create a line of clothing that plays recorded audio and video or photos when your body signals including temperature, heart rate, and ECG tell the clothing that you’re upset? Have you pictured trying to ask your grandmother for one of these recordings yet? We certainly have. 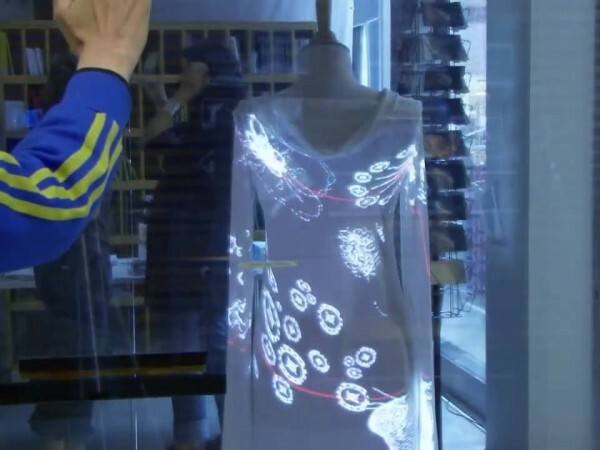 The Wearable Absence Project or WAp is a project founded in 2010 as a part of the Congress of Humanities of Social Sciences, and involves two teams from the University of Montreal and the University of London. The technology combines a series of audio speakers and displays with sensors and analyzers that keep track of your body in order to tell when you’re sad, upset, or lonely, and then offer you the comfort of a recorded loved ones voice or message using wireless technology. While not the most practical of devices, the WAp offers a unique combination of biosensors, audio, and wireless to internet (and vice versa) relay that is really quite intelligent. The model so far looks like a hoodie, which would most likely not be work appropriate anyway so, you donâ€™t’ have to worry about having your clothes start talking to you when you get upset at work. The WAp features a network of biosensors that measure heart rate, skin temperature, rate of respiration, and galvanic skin response and then transmit that data wirelessly to an internet database. Depending on the wearers mood, the data that is transmitted back is either harmless, or one of many prerecorded signals set to respond to specific emotions. While the responses can vary according to what is recorded (you could probably set this to have someone screaming at the top of their lungs whenever you get scared), it does play audibly through the speakers in the jacket. While the WAp jacket is a prototype it does have a hood, so we’re also thinking that files might also play next to the ears so that they are only audible to the wearer. Wait? Would Anyone Wear This? At the end of the day the WAp jacket is pretty much a useless bit of wearable tech because no one in their right mind would actually wear it. While the jacket might have some uses for children with Autism, it is otherwise pretty much worthless except for one thing. 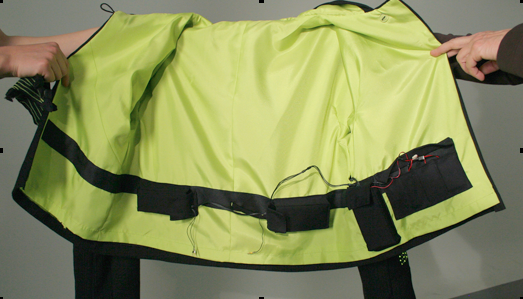 The technology uses in creating this utterly useless jacket is groundbreaking in how it works and how it works with the fabric. So, while we aren’t really interested in the WAp jacket itself, the smart textiles used to make it are certainly going to catch some attention, and potentially show up in more useful articles of clothing later.